Our private club is located in the Blue Ridge Mountains which elevates membership to new heights. 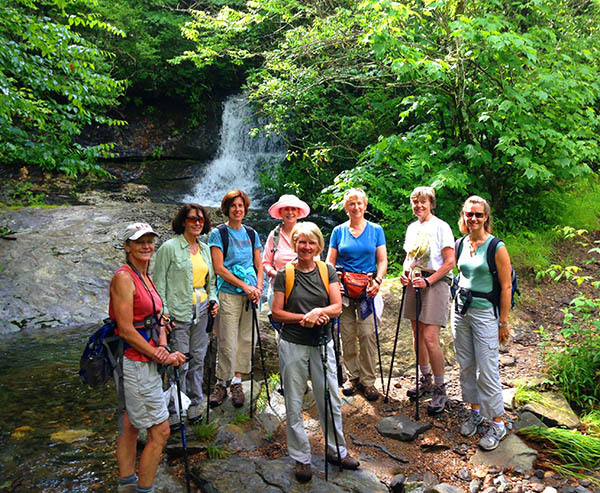 We are within one of the highest mountain ridges in all of Western North Carolina with elevations up to 5,000 feet. Our private club combines a great mountain golf course, superb food, a caring staff and most of all, our friendly membership that embraces new members to feel at home. Since 1999 our Golf Membership and Social Membership have grown to 300 members. There has never been a better time to elevate to escape the heat, enjoy golf and social activities and join our club. Ownership in the community is not required for club membership. A Golf Membership entitles the member (either family or individual) to enjoy unlimited use of the golf facilities with privileges to reserve tee times. Members are not charged green fees, but will be charged a cart fee. In addition, the member may use the dining, lounge, social and fitness facilities of the Club. The golf course is open seven days a week from May 1st through October 31st, weather permitting! Other membership services available are golf club storage, golf handicap service and lessons from our PGA Professional plus a fully stocked Pro Shop. Golf events and Social events can be found on our Calendar. A Social Equity Membership entitles the member to enjoy all of the dining, lounge, social and fitness facilities of the Club. Social Members may also enjoy five rounds of golf annually with the required cart and green fees. The dining room is open Tuesday through Saturday for lunch and dinner and on Sunday for brunch. Join friends for Bridge, Mah Jongg, Book Club, and Bunco. Social events can be found on our Calendar.